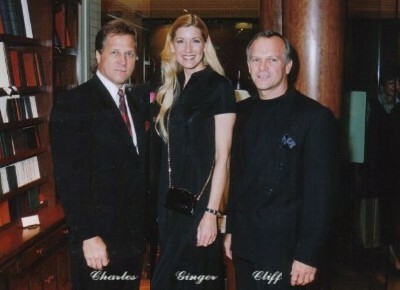 In the Spring of 1978, Brothers Cliff and Charles Underwood founded Underwood Leathers, Ltd. in Dallas, Texas with a Mission Statement for "Unsurpassed Excellence in Fine Leathergoods". For over 30 years, Charles Underwood Collection was available only through a select group of exclusive retailers including BLOOMINGDALES®, BARNEYS NEW YORK® and NEIMAN MARCUS® to name but a few. Now headquartered in Arizona, we specialize in American Alligator Accessories, etc., and have evolved into a High End, On-Line Retailer selling primarily through www.CharlesUnderwood.biz and Amazon. In order to enjoy and appreciate your purchase, you must first understand the people. The Craftsmen at Underwood Leathers are extremely dedicated to their jobs and skills. "Pride in Quality", is the foremost trait required of each individual. Master-Craftsman, Cliff Underwood oversees the production process with meticulous attention to detail. The Designer, Charles Underwood is personally involved in day to day operations and his wife, Ginger serves as Director of Marketing. Each of these human components interact to create a Level of Excellence which is quite uncommon in today's society. Only Non-Endangered Skins are used in production and an Authentication Card with Written 2-Year Guarantee is included with each item to insure your Charles Underwood purchase. The term "Handcrafted or Benchmade", originated many years ago, when leathergoods were made completely by hand at a work bench. There is really no such thing today as 100% handcrafted leathergoods. The reason for this is simple, for some jobs, machines have been developed that can, and will consistently do a better job than one can do by hand. We know that the most important factor is whose hands did the work, and by what standard of excellence the method of production is overseen. An example would be our "Hand-Stained" edges which are actually seven steps combining machine and handwork to produce an extremely smooth edge which is finished with three separate coats of Polymer dye to create a fine finish. If extreme care is taken in the handwork and machine operation properly, then both jobs are truly the best. Take special note that we say best, but not necessarily the fastest. Our choice has always been the method for unsurpassed quality, even though it may take longer to complete the job. We do nothing that others could not duplicate if they had the will to do it. In addition to Impeccable Craftsmanship, we spare no expense in all our raw materials. If anything, we are considered by some to be extravagant in this respect. Although the Quality of the Leather is obvious, it is the hidden materials which elevate our Collection a step above the rest. For instance, our Drop Handle Portfolio and Letter / Junior Pads feature a rigid but flexible Lex-Frame®, which extends completely to cover all edges which will maintain structure adding value for many years of durability. Another example is our Attache Frame, which is constructed of Aircraft Grade Plywood imported from Finland. This expensive Birch Hardwood contains a higher strength-to-weight ratio than steel and provides the best frame money can buy. When you purchase Charles Underwood, you have made an Investment in Magnificent Leathergoods which anyone would be justifiably proud to own.